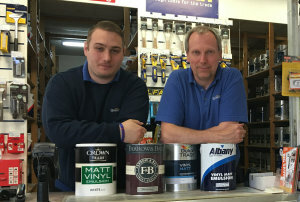 We stock a good range of trade and designer paints, wallpaper pattern books and all the necessary decorating sundries and tools, as well as access equipment. Our trade and retail customers keep coming back for our ability to source even more unusual products, for the relationships they build with us over the years, for the benefit of our decades of experience and our outstanding product understanding. 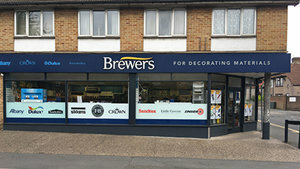 The Brewers Decorator Centre is an essential stop-off for painter decorators and DIYers throughout Welling and Bexleyheath. We’re easy to reach – on the A207 Park View Road, diagonally opposite Guy Earl Warwick pub and a hundred yards or so down from Welling United’s football ground. There’s customer parking just round the back of our shop, on Clifton Road. Follow the A207 Eastbound and the store will be located on the left before the Clifton Road turning. Follow the A207 Westbound and the store will be located on the right just after the Clifton Road turning.